This case of the "wall of pin stripes" provides an example of the paradox of mediation. Carefully managing negative personal mannerisms can result in a more confident and competent negotiator who is aware of their own and others' negative personal mannerisms and who makes deliberate and conscious decisions about managing them. 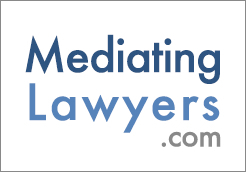 This article examines the challenges experienced by lawyers who are training to become mediators. Many of these challenges stem from deeply ingrained perspectives associated with legal training and experience. This article dramatizes the central role played by ADR in the everyday life of a civil law practitioner. The article is set in the context of a "day-in-the-life" of a hypothetical civil litigator. The purpose of the article is to focus on the pervasive and critical role played by ADR in civil law practice. To resolve litigated disputes, Indian courts are using a variety of modern methods, including mediation, and traditional methods, including Lok Adalat, on a broad scale. Lok Adalat (the "people's court") is derived from the ancient panchayat system of justice, where panchas, village elders, helped people resolve their disputes.